"If you really, really love ice cream, the intensity of Torico’s versions will wake up your senses in every bite." Sometimes a single scoop of ice cream just won’t cut it. Maybe you want to share some ice cream with your family or friends, have enough for a long weekend without needing to make several trips, or just want to have lots of flavor options available at your fingertips. Whatever the reason, and whatever the season, we’ll make sure your freezer is always stocked with pints of ice cream! Pick your flavors from our year round, seasonal, sorbets or Italian ices and we’ll hand pack them so they’re ready for easy pick up! At Torico Ice Cream we use real ingredients. The coconut and pineapple you taste in your ice cream comes from the real thing, even our peanut butter. 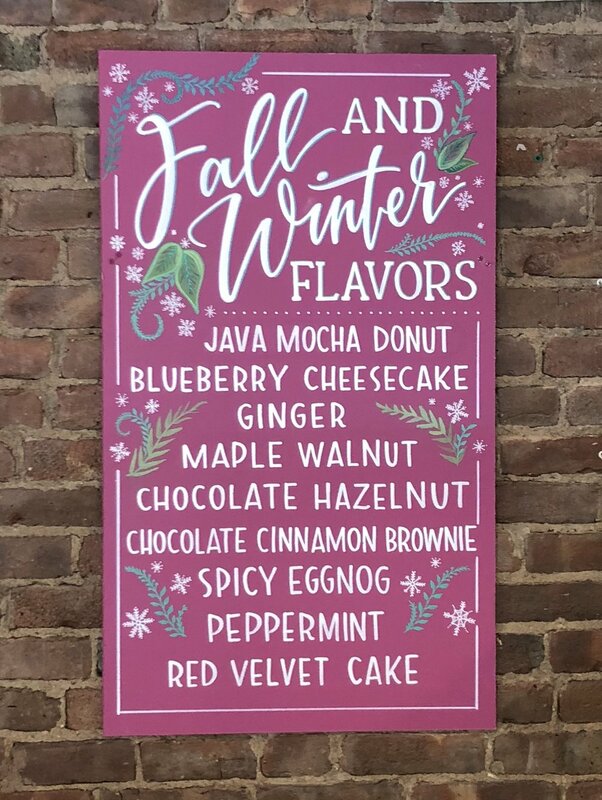 With over 65 flavors from classic vanilla to sorbets to our signature tropical fruit flavors, everyone will find the very best representation of his or her favorite flavor here. ELEVATING THE ICE CREAM CAKE EXPERIENCE! Whether you’re celebrating a charming anniversary, a crazy birthday, an elegant wedding, a lovely baby shower, or simply celebrating life we can help you make the moment special! Our Cake Team is able to make personal cakes for sharing, elaborate cakes for parties, and even tiered cakes for extravagant occasions; explore our book for inspiration to create and order your next ice cream cake! The cakes in this section have been created to resemble popular flavor combinations that our customers have traditionally loved. 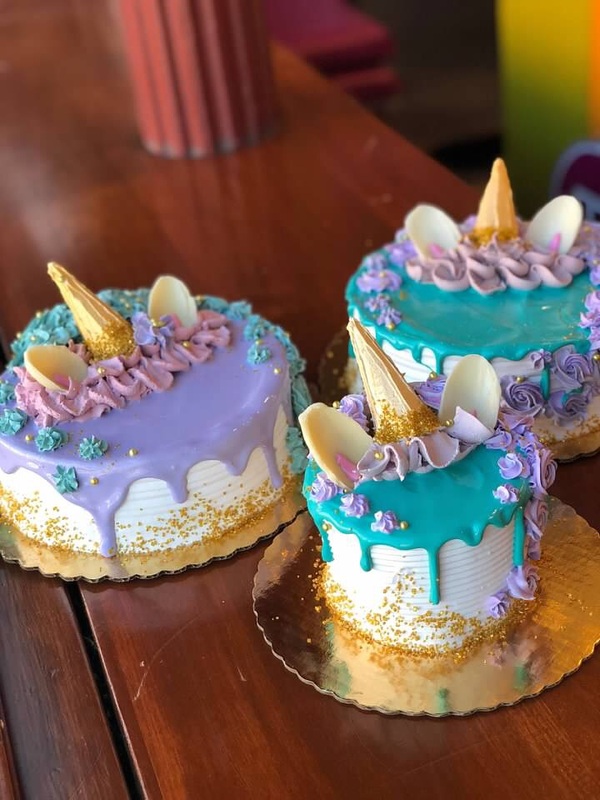 Simple, fun, and delicious; these cakes are decorated with rainbows, balloons, white chocolate bows, and dripping ice cream cones. Whatever the occasion, these cakes will surely make your guests smile. We’ve created a menu of truffles just for your confectionary pleasure. Here are some cakes topped with a little extra sweetness. These extravagant cakes can make a beautiful centerpiece with their indulgent toppings and elegant arrangements. Let these cakes bring your party to a new level of delicious sophistication. Welcome to Torico's Edible Garden where our decorators have grown a menu of hand crafted flowers nurtured with love, patience, whipped cream and fun. Soft serve cakes are made with chocolate and vanilla soft serve ice cream with fudge and cake crunch fillings; Homemade ice cream cakes provide the option of up to 2 flavors and fillings. Please use size chart as your guide for selecting the appropriate cake for and your guests. Servings are based on 4 oz portions. All cake orders require at least 72 hours notice. If you need a cake immediately, we have a great selection available in our display cases for quick and easy pick up. We even have a small selection of ice cream cakes and pies available for delivery through Uber Eats. To modify or customize order, please call us at (201) 432-9458 or email us at ToricoCakeTeam@gmail.com and a decorator will be happy to discuss with you! Please indicate any gluten, nut, soy or egg allergy in special request field. How long will a Torico Ice Cream Cake last in my freezer? Our Ice Cream Cakes are made fresh daily. We recommend that you enjoy your Torico Ice Cream Cake within 7 days of purchase to ensure the highest quality in our products. How long can I let the Torico Ice Cream Cake thaw before cutting it? We suggest waiting a maximum of 15 minutes before cutting into your cake. How long can I travel with a Torico Ice Cream Cake? You can travel up to 1 hour using a freezer bag. We have freezer bags available for purchase at the store! If you plan to travel for more than an hour we can provide you with the option of purchasing dry ice. How much time do I need to place a Torico Ice Cream Cake Order? Does Torico make wedding cakes? Yes we do! We kindly request at least 2 months to fulfill this type of order. Please email us at toricocaketeam@gmail.com to schedule your consultation. Torico is and has always been a community gathering spot. It's become a post-dinner stop and the line to get ice cream naturally becomes a place to meet new people. The stretch along Erie near First has become even more popular with retail and restaurants opening in the last few years. Our original hand cranked ice cream maker has become a permanent fixture in the shop. Although it no longer is used to make ice cream, it is our focal point for donations to a local charity, which changes each year. Spring/Summer Hours: Open everyday from 11 a.m.-11 p.m.